Grew up with KR Reykjavik (Iceland) juniors. Made his debut with KR Reykjavik during the 2010-11 season. Played college basketball at Long Island University Brookyln (2014-16). Moved to France for the 2016-17 season, signed by Etoile Charleville-Meziers, ProB. Signed for the 2017-18 season by Champagne Chalons-Reims Basket. 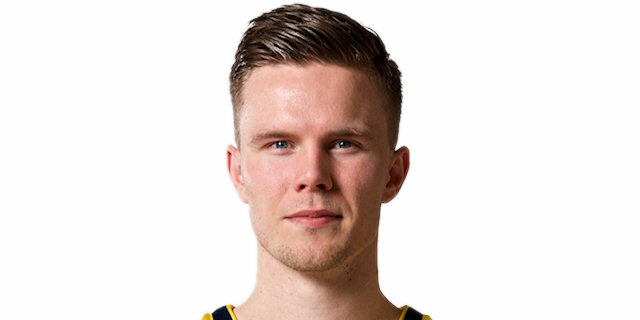 Moved to Germany for the 2018-19 season, signed by Alba Berlin Basketball Team. Played the 2013 Icelandic all Star Game. Has been member of the Icelandic U-16, U-18 and U-20 National Team. Named to the 2015-16 All-NEC 1st Team.